eating (nearly) everything: Germans, rejoice! 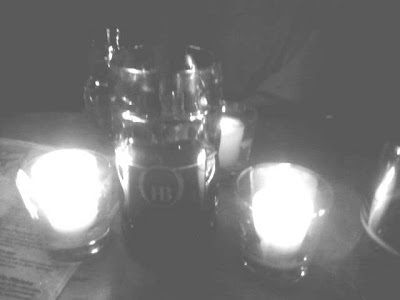 The other night I had the good fortune to visit the Radegast Hall & Biergarten, (113 N3rd Street, Williamsburg, Brooklyn.) It was my second visit, though I will pretend the first visit never happened. Had I been writing this blog back at Visit #1 I would have angrily typed out a vituperative paragraph about the idiocy of bartenders, most specifically the tow-headed maniac who served me a large mug of apple-flavored beer, after I requested a (gluten-free) cider. I am ashamed to admit what I did next. A dangerous mouthful of the familiar and toxic flavor, I panicked, and spit it out... on the floor. Sorry. Sorry everyone. Life or death, nearly, and the good intuition not to ruin a perfectly good beer for someone with a more capable small intestine - by spitting it back into the glass. I was surprised to find myself back in the cavernous tavern (!). It was very late at night and I was amongst friends, so I did not put up a fight or recount my rude tail of expectoration. Oh. What? They have gluten-free beer? Yes. 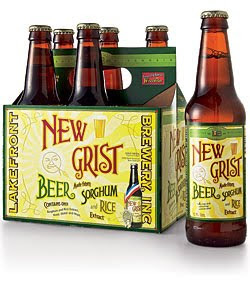 There it is, a blurry cell-phone picture of my giant mug of New Grist Beer. I made everyone taste it, and let it be known I was with multiple male people, who, I know, are particular about these things. They thought it was fine. A little sweet. The excitement is not over yet. Schnitzel, french fries, (which, so far as I can tell are the ONLY fried thing, rendering them gf), a mustard bar, sauerkraut. Oh, and they have root beer floats for dessert. Thank you. Note: The biergarten will be hosting a ANTI-VALTENTINE'S [sic] DAY CELEBRATION. Just saying. Check website for details.